mECPS Spotlights share the personal stories of ECPS graduate students who are thriving, inspirational leaders in their programs. Through these stories, we get to know our graduate students better and understand how they manage to succeed, despite the heavy demands of graduate student life. Jacqueline Maloney is a M.A. student in Human Development, Learning, and Culture (HDLC). In September 2015, she begins the HDLC Ph.D. program. Before advancing to lab manager for the Social and Emotional Lab (in September 2014), Jacqueline worked as a research assistant in the lab. Learn more about Jacqueline by visiting her website, Generation Yoga. What’s your proudest academic accomplishment from this school year? One of my most inspiring moments this year was presenting a poster based on findings from my Master’s research at the International Symposium for Contemplative Science in Boston. The poster shared students’ perceptions of MindUP, a mindfulness-based education program. I was thrilled that so many people were interested in learning about children’s experience with mindfulness practices because children’s voices are often not considered in program evaluation. While presenting the poster, I was fortunate to connect with many leading researchers in the field, as well as other students doing similar work. It was an amazing experience getting to connect with both the established researchers as well as the up-and-coming researchers in the field. Many ideas for future collaborations across universities came out of this conference. I can’t wait to see what unfolds next! Were there any stand-out courses that you took? In general, all of the courses that I have taken as part of my program have been outstanding. In addition to being experts in their fields, faculty in HDLC really put the research into practice when instructing their courses. They allow a lot of autonomy in choosing projects that related to your own area of interest. They go out of their way to create a feeling of community in classes. They aim to support not only your academic work, but their students’ well-being in general. The course that probably had the most impact on both my professional and academic work was a special topics course on Mindfulness Education. Leading researchers from across North America Skyped in to talk about their work and to answer our questions. You manage one of the busiest and biggest labs in the department! What does it take to manage such a busy and large research lab? Motivation. I am inspired by the projects we work on. Support. We have an amazing team. 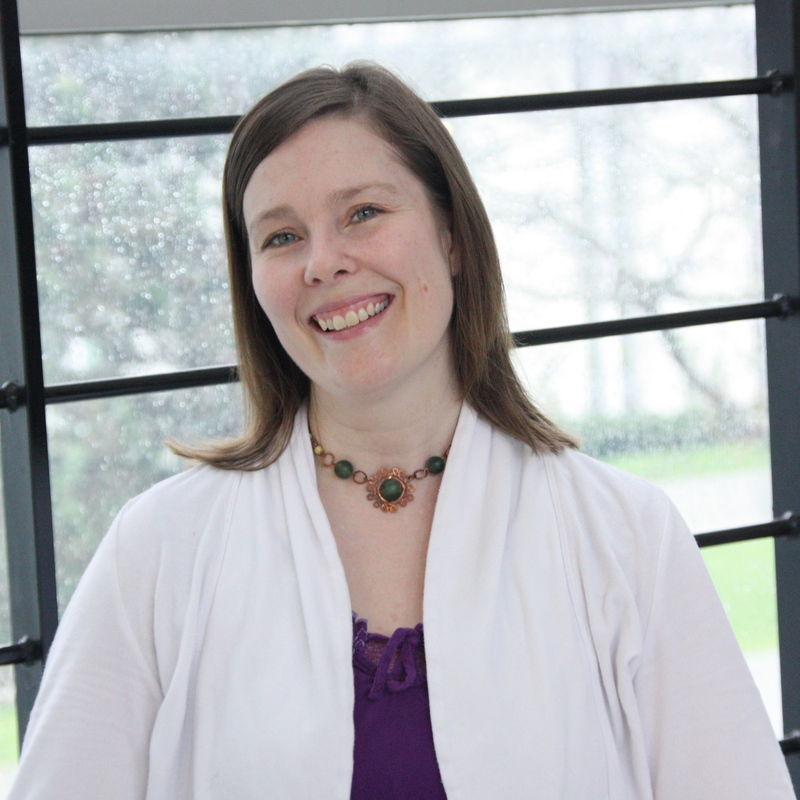 Kim offers enormous support as well as autonomy and confidence that we can oversee her studies under her guidance. The lab has a culture of mentorship, with members who have been working there longer scaffolding those who are newer. I have been so fortunate to have the guidance of previous lab managers. I couldn’t do this without them. Also the support and encouragement of my friends and family are key. They are very enthusiastic about the work we are doing. Self-care. Creating time for my own well-being is essential. I have a chronic health condition that is aggravated by stress, so I have to be good at setting limits and knowing when to ask for help. I take frequent breaks throughout the day, go for walks, do some yoga and meditation, play music, connect with friends. Because I take the time to do this, I am much more productive in my work. It also encourages other people in the lab to do the same. Flexibility. When conducting field research, things rarely go as planned. I have a saying. “Come with a plan; go with the flow.” Our plans are constantly in flux, so you can’t get attached to them and have to be ready to shift gears at a moment’s notice. Leaving plenty of time to get things done. An astute six-year-old once told me, “Yoga is the opposite of rushing.” I go back to his wisdom over and over. The key is to plan ahead and leave much more time to get things done than you think you need. I think this applies to graduate work in general. On top of all your academic and UBC career duties, you also teach yoga! How do you manage juggling your grad student schedule? It’s all about planning! This might sound extreme, but I plan my yoga teaching schedule a year in advance with my academic schedule in mind. I only teach my Kids’ Yoga Teacher Training twice a year – during spring and summer school breaks when I know we won’t be in schools collecting data. I have had to cut down on the number of yoga classes I teach, choosing only those that are close to home to cut down on travel time. I only schedule one workshop a semester, always close to the beginning before assignment deadlines or on the break between semesters. It definitely helps that yoga is a nice counterbalance to academia. I remind myself that I am doing academic work to support my vocation as a yoga teacher, so I need to create space for that. If I didn’t, it would be easy to let my academic work take over. 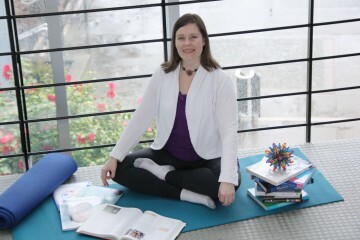 In turn, yoga provides the energy and inspiration for my academic work.